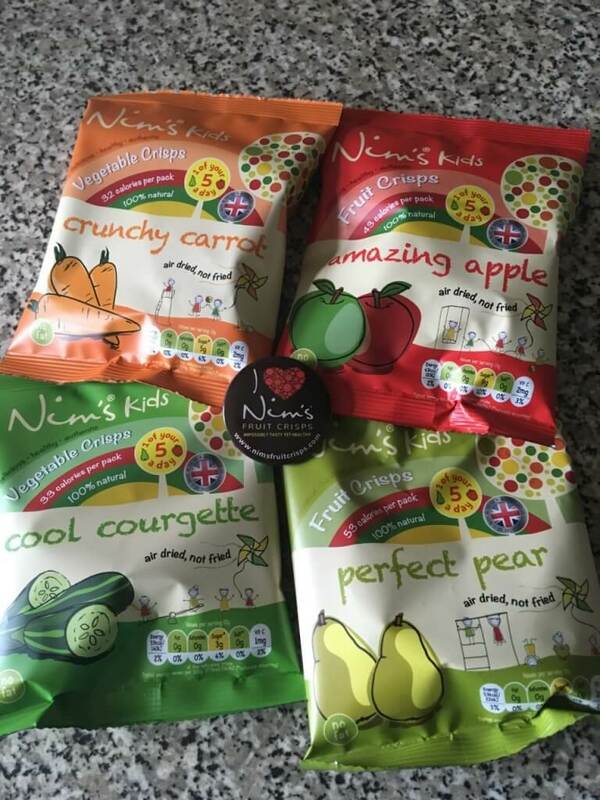 Last year I reviewed Nim’s fruit and vegetable crisps so I was really happy when they emailed to say they had developed a children’s range. 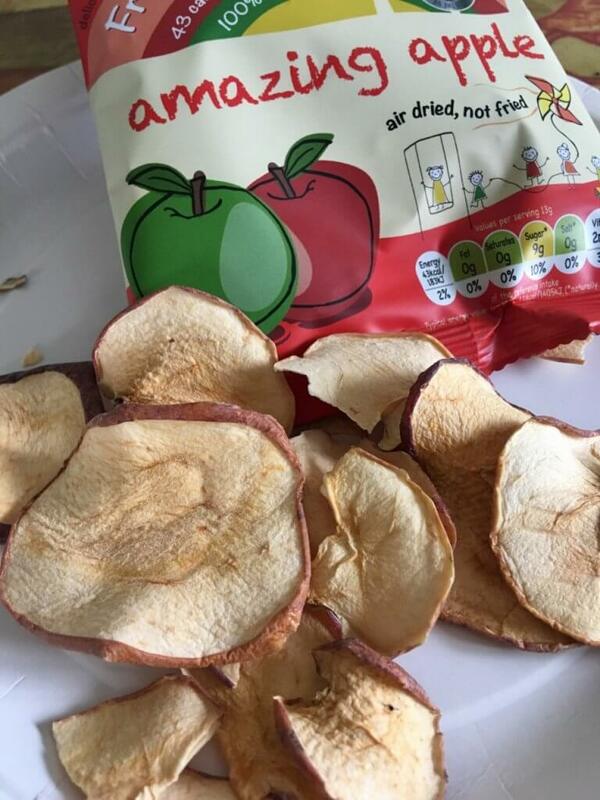 Like the original Nim’s, the range are air-dried snacks made in Britain. They are made using a unique air-drying process, to ensure they keep as much of their nutritional content, natural sweetness and beautiful bright colours as possible. No additives or preservatives of any kind will be found in Nim’s crisps. Nim’s use British fruit and vegetables where they can, sourcing only the very best quality fresh produce and using it in its entirety – including keeping the skin, core and pips intact. They are high in fibre and vitamin C, as well as being fat and gluten free. They are the perfect way to get fruit and vegetables into the little one’s. Lucas enjoyed the pear and apple. Neither of us liked the courgette one’s and I liked the carrot but Lucas was reluctant to try those and didn’t like them when he did. The crisps aren’t as crunchy as traditional potato crisps but they do have a crisp bite to them and they remain true to the fruits own flavour. Fab! A tasty & healthy treat for my boy! These look like a tasty and healthy treat. This crisps look good, but I’m not what our children’s reaction will be,but it’s worth trying. Something different , love to try these and they’re healthy too ! So much healthier than fried crisps and delicious too. These sound very good, I would love to try these. I would like to try the perfect pear first. I’ve had veggie crisps but nether fruit crisps. I must try them. These look yummy – would love to try! These look and sound absolutely scrumptious! It is such a change from the atypical crisps, so I can still indulge in my favourite snack but be healthy too. My girls would love them! These sound great especially for the children but adults to have a small bite too!